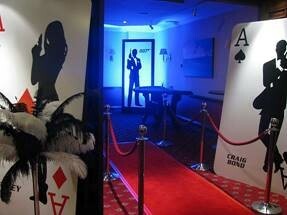 To provide entertainment and décor for an evening corporate event for 300 guests at Celtic Manor. 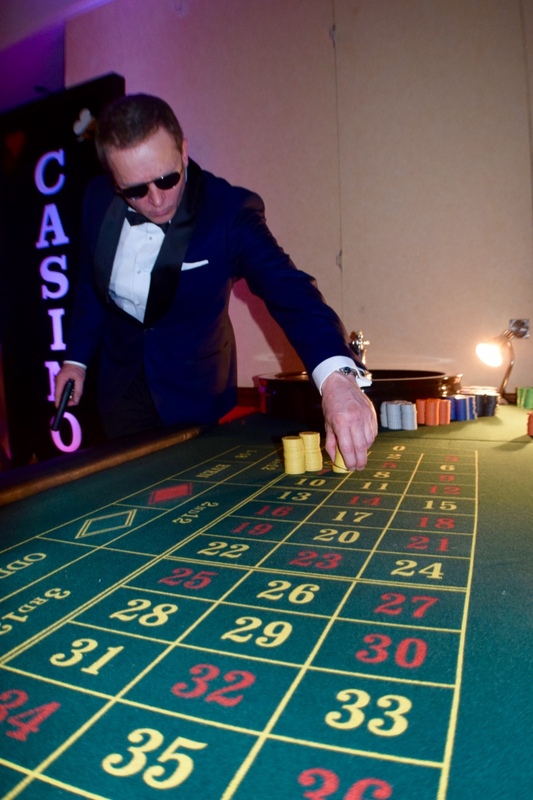 The clients were keen on a fun casino style theme and following various suggestions along these route decided on a James Bond theme. We sent over some preliminary ideas before meeting the client at a site visit at Celtic Manor to look at the specifics of the room and discuss the arrangements and layouts. 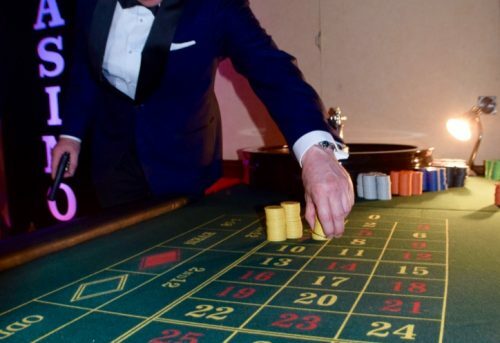 We then created a detailed proposal to include a fun casino with prize for winner & décor and props for the room based on the theme. The event spanned the Augusta Suite which is quite a spread out area so we looked at good cost effective décor to suit the theme. 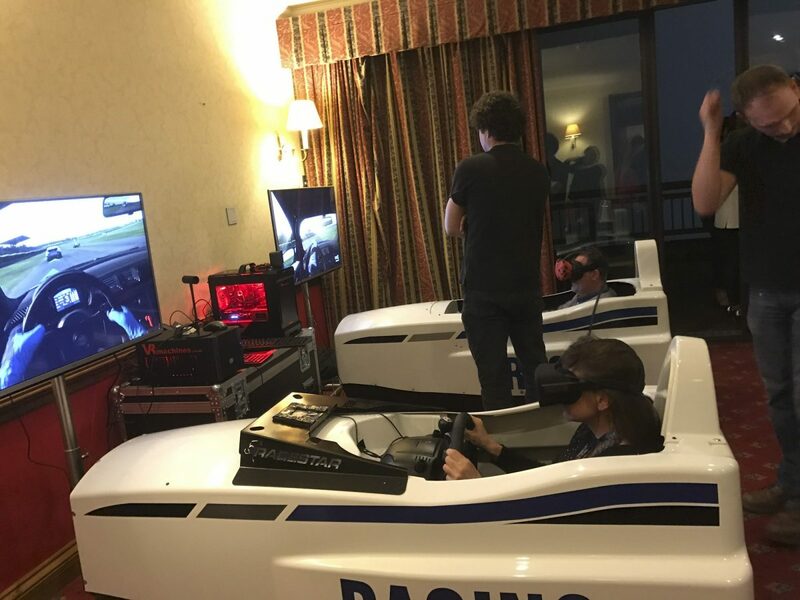 To draw guests into the smaller room at the venue we chose interactive entertainment which matched the theme in the form of a James Bond themed Photobooth and two VIRTUAL REALITY simulator racing cars. 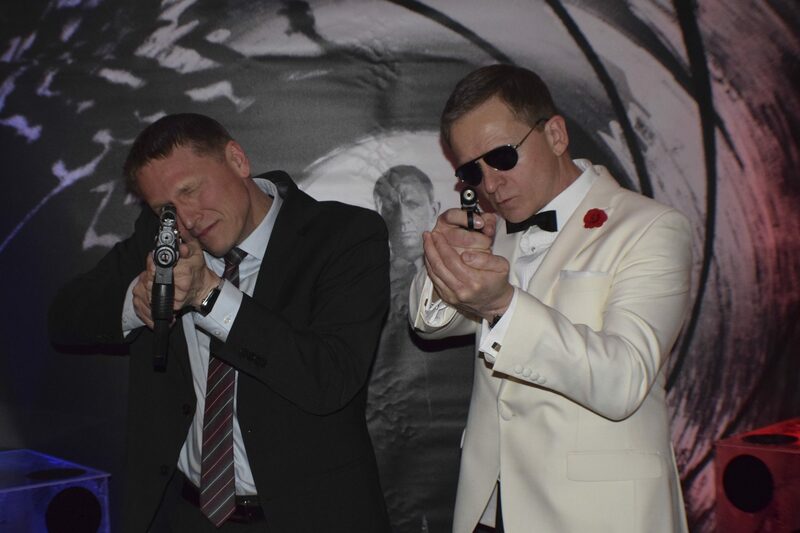 We looked at the flow of the evening from drinks reception to food service from food stations onwards and designed a Reveal in which the doors to the main room were flung open by our lovely Shirley Bassey impersonator and Daniel Craig͛ as James Bond, welcoming the guests to the Casino Royale scene. Shirley then serenaded guests and laid the ground for a 9 piece good time soul band who played numbers from classic Bond films. 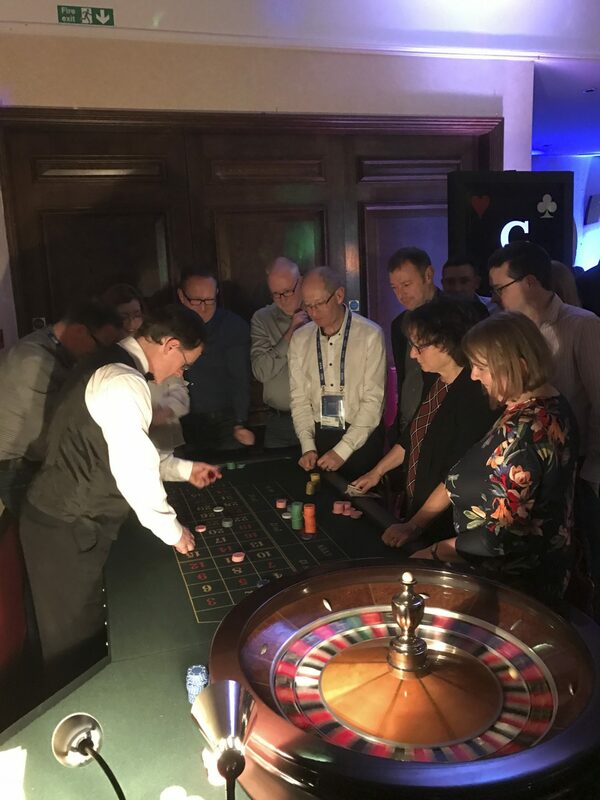 Through the event the guests were able to wander between the different zones of Casino, dance Floor, Virtual Reality, which drew a lot of attention and Photobooth so there was plenty to keep everyone occupied throughout the evening. 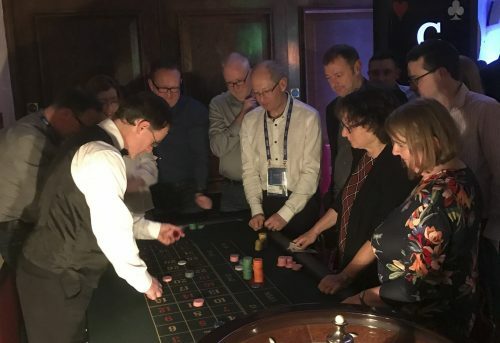 This event involved close liaising with the client and venue to make sure the schedule and all specifics worked well for the event. 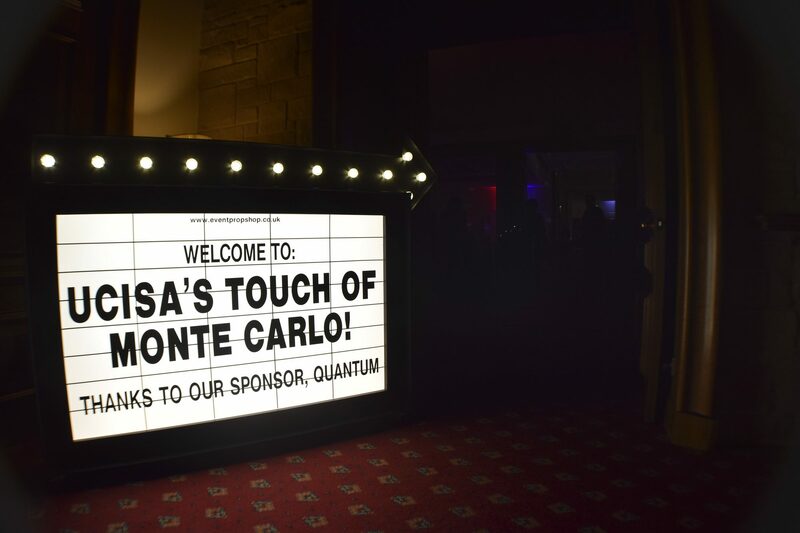 We also attended the event to make sure everything ran smoothly on the night. A very successful event for the client and we are now working on their 2018 event which will take place in Bournemouth International Centre.